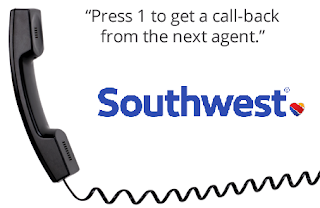 For several years Southwest has had a problem with their automatic call back feature. Instead of waiting on hold for 5, 10 or 20 minutes call customer service at their phone number 800-435-9792 it gives you the option of calling you back. When the system does call you back and you follow the instructions to of hitting any key when " " is on the line. It just hangs up. I have even experimented with turning WiFi calling off on the phone and the problem still persists. I also added Southwest 800 number to my phone book so it wouldn't be blocked. The reason I am writing about the problem is that apparently customer service is aware of it based on this discussion Serious Problems. Yet nothing has been done to fix the issue in the last two years. 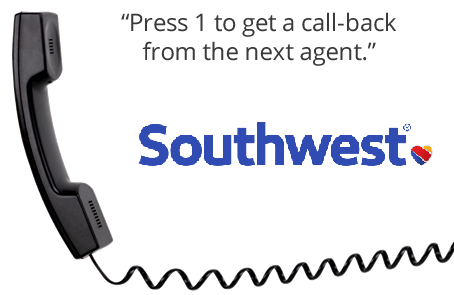 I assume Southwest is problem outsourcing their call back feature to a third party telecom company. I would like to know what telecom company is providing this service and would love to call them out also in this blog post. Southwest always has had great customer service and this happens to be something that does not seem to be getting resolved. I would bet AT&T and/or Verizon are providing this 8000 call back service and scamming Southwest by dropping calls and then charging them for each call. Wouldn't put it past them to do this. This hangup problem has occurred with me several hundred times and its annoying and wastes my time. The problem seems to happen most when the wait is longer than 10 minutes. Please chime in below under discussion and let us know if you have had similar issues with customer service. I am also a huge fan of Southwest Airlines and think they are light years above every other airline by far. I think their customer service is amazing when you can reach them and love their credit card point system. Hopefully, enough people will read this post so they can do something to fix the problem. Comments appreciated.